Expand search to view more listings in and around West Chester. See more offices in and around West Chester. With 1 office available in West Chester now, Offices.net can help you get in to office space that is ideal for your company's needs. Our team has in-depth knowledge of the local office market which enables us to find the property you require from a wide range of quality locations and office building options. Many of our offices offer simple, short term and flexible rental contracts, meaning that your company can gain the benefits of a wide range of facilities and a prestigious business address in West Chester. Our goal is to help your company find the best work environment, arrange a rental agreement that suits you, and get you into your new offices as quickly and easily as possible. There are a range of office types available, from conventional space to serviced offices, from work space to fixed desks and office suites for teams and larger organizations. We would be happy to help you navigate the options and find the office space that is best for you. An extensive selection of the business centers are inclusive of a range of support services which include office administration, dedicated reception and on site IT support staff, high speed internet and WiFi services, lounge and meeting room facilities. In addition, a number of the office buildings provide free car parking, 24 hour access, dining facilities and break out areas. Select any of the offices for rent on this page. The West Chester executive office suites and offices for lease on our website are situated in convenient locations and are offered on flexible terms, giving you the chance to rent office space for the time period you need. 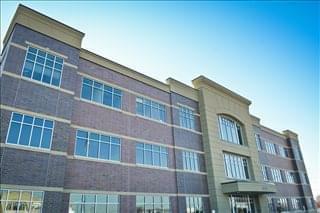 Offices.net has an impressive selection of excellent office space in other Ohio locations, all available on flexible terms to suit your company's needs. For all your office requirements, contact us using the form or phone number on this page.